The commute just got easier! 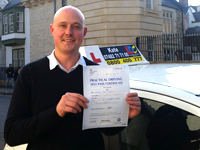 Well done Matt! I think this year will be a good one for you...new job, new house & now the freedom to go wherever you want! I wish you all the best for the future, enjoy life & take it easy! A massive congratulations Dean! 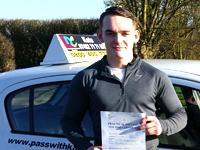 A well deserved pass with only one minor! You had the added pressure of passing before your baby is due & you did it! You can now be the Dad you want to be & take your family wherever they want! You are a top man - just a shame about your choice in football teams!! Ha ha! All the best for the future. No more waiting for the bus!! Congratulations Helen! You worked hard & got over your initial nerves to get your pass! Enjoy the freedom that you now have, I'm sure you will. You were a pleasure to have & we certainly had some laughs along the way! Well done again! 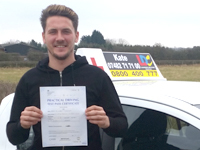 Well done Josh! Only 4 minors! I hope you managed to get the car you want after waiting until you passed! Now you can take yourself wherever you feel like....the world is your oyster! 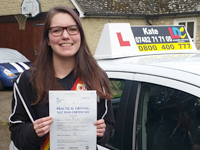 Annie came to me as a very nervous individual who had previously taken some lessons with another instructor. One of the main challenges we faced was that English isn't her first language. She liked the LDC workbook & translated everything herself into Cantonese! 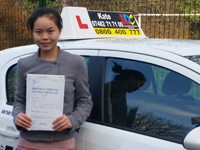 Although she didn't pass first time, she learnt from her mistakes and really worked hard each lesson to understand everything. We often used the LDC presenter in the car so that she could visualise what she needed to do for each step of the way. Congratulations Annie! I knew you could do it! !